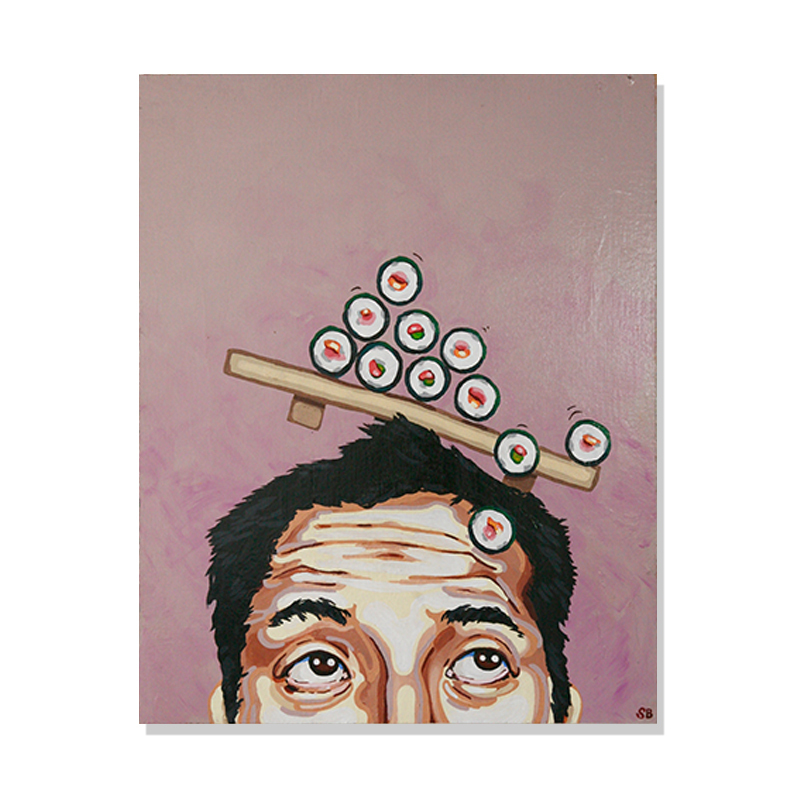 FROM THE ARTIST: Sushi-rolls is a conceptual continuation from my piece, Burger Man. I plan to continue exploring this food-on-head concept in future pieces. I recently tried sushi for the first and really loved it. I painted this piece shortly after and I have recently really embraced capturing a comedic tone in my work. 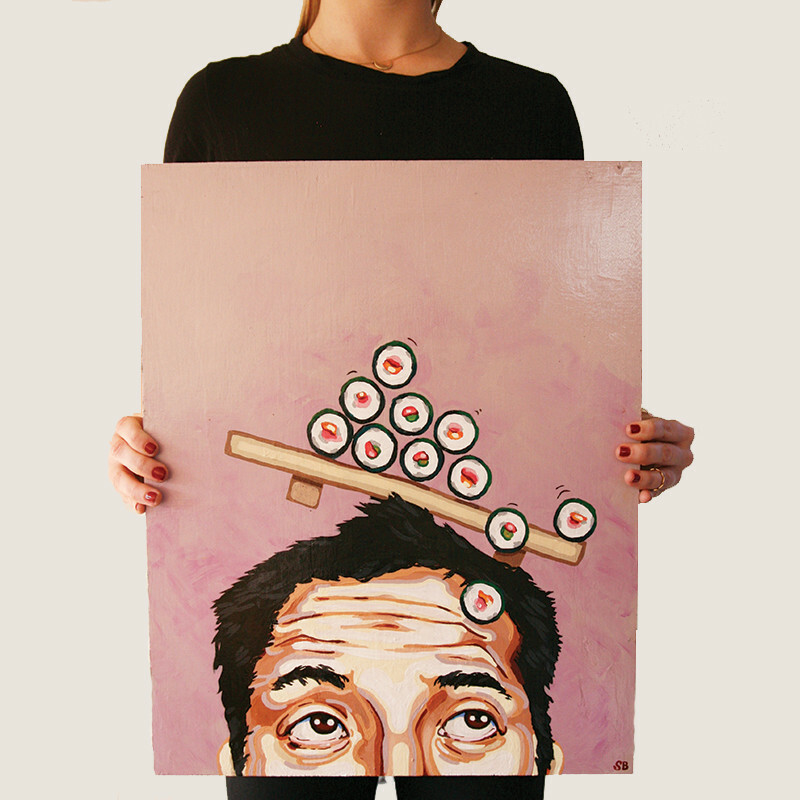 This color palette is one of my favorite palettes to , and this is because I wanted the focus to be on the sushi rather than having the focus be on the abstract quality of the person.